Yes! There are a couple of different things! 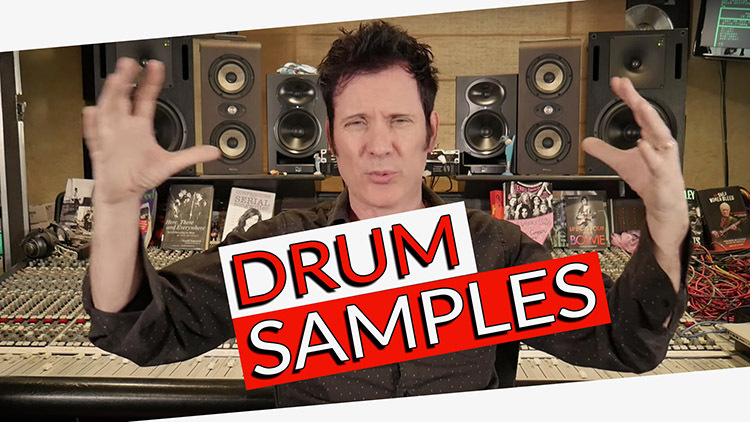 – If you’re just using generic samples and you’re not using Addictive, Easy Drummer, Superior or the Slate Trigger- and you’re just manually placing them, in Pro Tools you can use what’s called sound replacer! I believe you can use ad load in three different samples and then you can blend them. What this process does is it reads the peaks and troughs, it reads the volume of every single one of those kicks and then replicates it so that when you put your kick in it will line it up to that place and also keep the dynamics of each of those kick drums. I personally do a bit of both, I will manually put things in and I will line it up. I do find that whatever software you use, there’s always, more often than not, a missed trigger – it’s just the way it is. What causes a missed trigger? It could be from random bleed from another drum, or the drummer might be hitting the floor tom at the same time as the kick, (and there’s a weird kind of like double flamming of the low-end), which causes the kick not to know where to trigger from! There are many tricks in Pro Tools that can help you with the triggering issues. One way is you can strip the silence, which means you can remove the stuff between all of the transients on the kick drum. To do this you’d create a playlist of the kick drum, strip all of the stuff in between and then only used the transients themselves from the kick drum to trigger in sound replacer. However, there’s a million different ways of doing it, you can use Melodyne to capture MIDI information and then use that in Addictive, or some other softwares have that already built-in, I know that DAW’s have that built in. I would love to know how you do it! Please let me know in the comments! I answer the following questions during this week’s FAQ Friday!